€300,000 in business referred in just the first 3 months. Isn't that the kind of networking morning you could get behind?! 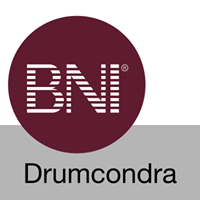 At BNI Drumcondra we are a group of 20+ businesses (and growing!) from across Dublin that work together to develop leads and increase each others referral revenue. We would like to cordially invite you to our chapter meeting on Tuesday morning at Croke Park, Drumcondra. Every week we welcome several new businesses owners that come in to network, have a coffee, pass around business cards and of course do some business. Seating is limited so confirm your place now or contact Ym5pZHJ1bWNvbmRyYSB8IGdtYWlsICEgY29t for more information. There is tea, coffee and refreshments and make sure to bring your business cards! If you can't make this Tuesday let us know and we'll accomodate you next week. Parking is in the Davin cark park and entry is via St. Jone's Road. Make sure to bring business cards! You might like to also bring any other marketing materials you have and also make sure you bring a positive attitude, afterall this might be the most important thing you do for your business's revenue this month so make the most of it!